Lancaster High School wrestlers went 4-1 for a third place finish in a highly competitive Little Giant Classic at Waynesboro High School last Saturday. 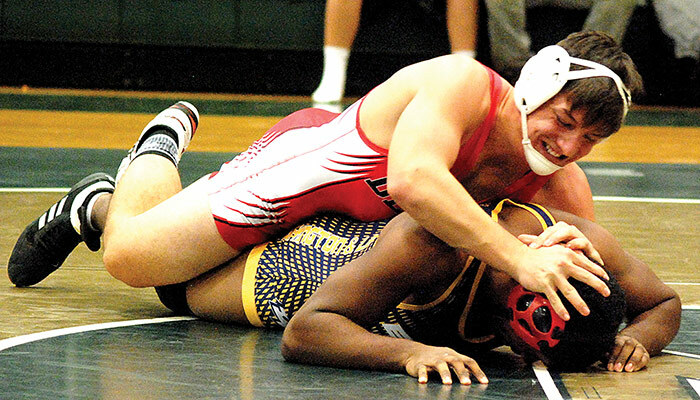 The Red Devils beat Madison, 48-30; Waynesboro, 51-24; Stonewall Jackson, 66-18, and Western Albemarle, 45-35. Cave Spring defeated Lancaster, 60-18. Senior Adam Wilmore (195) brought home the lone gold medal, going 5-0 against wrestlers from Class 2, 3 and 4 schools. Wilmore finished at 8-0 for the week after going unbeaten at 3-0 last Wednesday at the Northumberland Tri in Claraville.